Many mission workers come home for short periods of holiday or home assignment and find that organising transport is a real headache. Coping with public transport, getting an unreliable old banger from a well-meaning church, or borrowing a car from a friend who keeps needing to borrow it back can all add to the stress of a brief visit. Not to mention the challenge of first getting from the airport to your ‘home’ with all your luggage and equipment for several months on tour. SYZYGY HAS SOLVED THE PROBLEM! 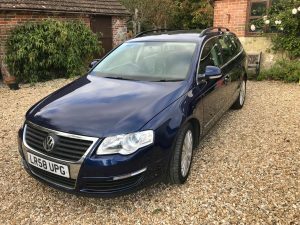 We have a choice of FOUR cars – a 7-seater Toyota Previa which has an automatic gearbox, a 7-seater VW Touran 6 speed manual, and two family-sized VW Passat estates, both of which have manual gearboxes. They are all fully taxed and insured, ready for you to use for up to six months. We’ll deliver them to you at a location that’s convenient for you, or even meet you at the airport with them. We’re also able to provide child car seats which are mandatory in the UK for children under the age of 12 unless they are more than 135cm tall. More guidance on this is available from the UK government website. “Sorting a car is probably the biggest worry and hassle of HA. 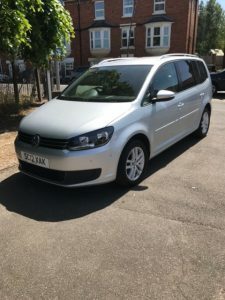 Because insuring these vehicles is so costly, Syzygy can’t afford to run this ministry without receiving help, so we invite donations from users of £440/month for the Previa and Touran, and £360/month for the other two cars. Unfortunately, for insurance reasons, we are only able to make these cars available to people who are holders of UK passports with clean UK driving licences. Just send an email to Syzygy Cars to make a booking. Please book early to avoid disappointment – the vehicles are often booked 18 months in advance! In order to help you see whether our cars are available when you need one, we have a schedule – click here to see it. Read a testimonial from mission workers in Mozambique about the significance of this ministry – click here. If our cars are not available, you may like to contact Ichthus Motor Mission, who rent out cars, or Trust Vehicle Services, who have a useful car sales and buyback service, or consider some of the other options listed by Oscar. Users of Syzygy cars are respectfully reminded to obey the speed limits, asked not to smoke in the cars, and are required to ensure that children always sit on the appropriate child seats. SYZYGY MISSIONS SUPPORT NETWORK » Blog Archive » Keep a missionary mobile! 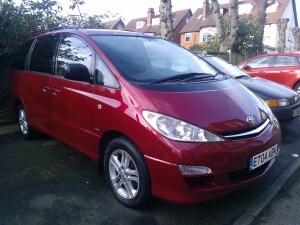 We are looking for a hire of the MPV if possible between the 8th August until the 15th September if possible. we are a missionary family based in Peru and haven’t been to the UK as a family since early 2010.